Monitoring and managing compliance issues is a time-consuming and labor-intensive task that many trucking companies struggle to handle efficiently. At US Compliance Services, we specialize in offering consultations and assistance while adhering to the extensive and frequently-changing rules, regulations and procedures mandated by the Department of Transportation (DOT) and Federal Motor Carrier Safety Administration (FMCSA). 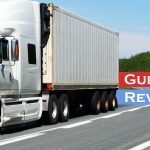 From reviewing policies and procedures and ensuring accurate and timely filing of paperwork and registrations to providing modern systems that simplify required driver health and performance documentation, we offer everything you need to keep your drivers, trucks and cargo safe and leave your customers completely satisfied. Trucking company managers, supervisors and contractors are responsible for keeping up-to-date with local and federal industry regulations. As a leading source for reliable trucking compliance consultation in Florida, we are equipped to provide a host of valuable products and services that eliminate the complexities of modern trucking compliance management. Whether you’re hiring new drivers and need to certify their qualifications, renewing and filing for registrations or searching for a more efficient way to document and store data, we’ll help you find the solutions that make the most sense to your bottom line. DOT Consulting Services – We offer DOT registration and application assistance to manage the detailed process of filing for a new DOT number, biennial renewals, initial and annual registration filing, MC number application and reinstatement and united carrier registration. US Compliance Services is also your one-stop shop for DOT and MC decals as well as magnets and log books. 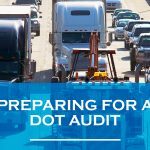 FMCSA Services – Dealing with FMCSA-required safety audits, compliance reviews and roadside inspections can feel like a full-time job. When you partner with us for Florida trucking compliance, we make sure you’re following all of the federal regulations and can even assist with filling for MCS-90 forms used to show fiscal responsibility when transporting hazardous materials. DOT Driver Qualification Management – Our trucking compliance services include monitoring and managing the filing or paperwork and forms regarding driver history, including registrations, medical exams and physicals, road tests and more. Learn more about what you need to do to meet DOT guidelines by downloading our Driver Qualifications Checklist. IFTA Assistance – If you need assistance with International Tax Agreement (IFTA) application filing, you’ve come to the right place. We’ll help you understand your requirements and how tax laws apply to your business and assist with accurately filing forms in a timely fashion. ELD and eLog Compliance – Paper log books are no longer acceptable to record your drivers’ hours of service. Electronic logging devices (ELDs) or eLogs are mandatory in Florida, and starting April, 2018, the ELD mandate will be enforced. US Compliance Services specializes in ensuring that your company is using adequate logging technology and verifying records to making sure your fleet is ready in the case of an audit. Stop worrying about whether or not you are following laws and regulations by contacting US Compliance Services. Call us today to speak with a knowledgeable representative and get your free initial consultation on trucking compliance services in Florida.